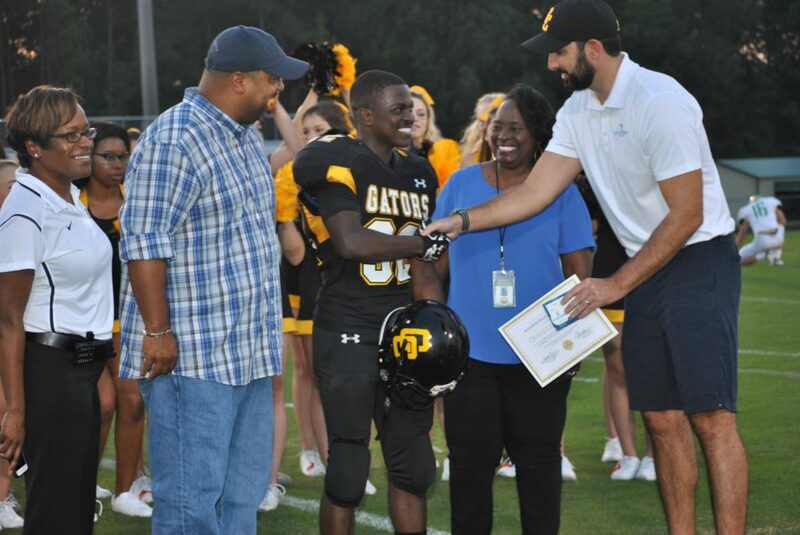 This fall, The Steinberg Law Firm had the opportunity to support the Goose Creek High School Football Team at their home games and present high school student-athletes with recognition for their determination in school and on the field. This winter our firm will continue its mission to drive education and literacy in youth by sponsoring the Goose Creek Basketball Team. In addition to awarding ‘Athlete of the Week,’ Steinberg Law Firm will be feeding the Basketball team before each game. At each of the these games, a Steinberg attorney will be present ‘Athlete of the Week’ award and recognize two student-athletes that have demonstrated determination is their studies, sports, & life outside of the classroom. Come see the Gators on the court this winter! Steinberg Attorney Ben Akery congratulates Goose Creek High School’s Craig Domingue with Athlete of the Week. Craig remains dedicated to his Football team and studies, maintaining above a 4.0 GPa. 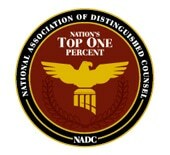 For more information about The Steinberg Law Firm’s values and missions, read here.